On July 7, 1947,William Rhodes, age 30 was in his backyard on his way to his workshop when he heard what he thought was an F-80 jet approaching overhead. 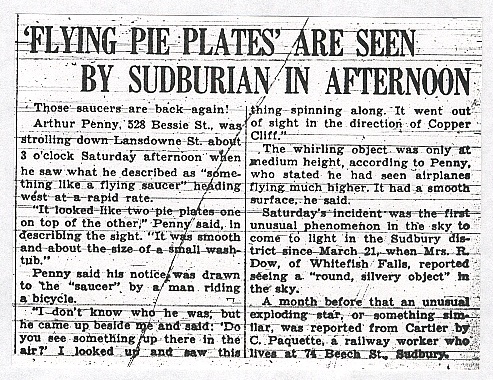 What flew over his house was a gray colored UFO that was estimatd to be 40-50 feet in length and traveling at 400-600 mph. Rhodes got his camera and took photos. This incident happened in Phoenix, Arizona at 4PM. Rhodes maintained that there was a dome on the top of the craft. A few things that may mean something, the shape of the craft is kind of like what Kenneth Arnold spotted flying over Washington on June 24, 1947. 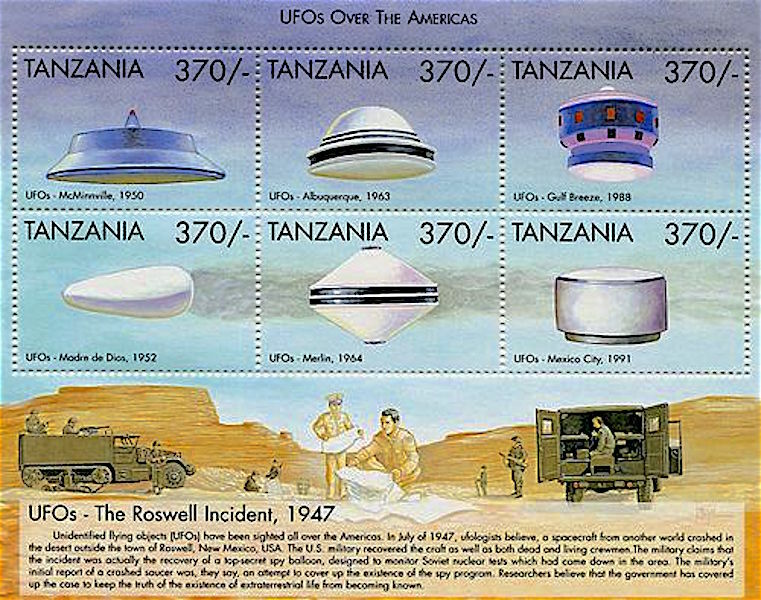 Also on the July 4th holiday of 1947, the day is not exact, a UFO was shotdown or crashed outside of Roswell, New Mexico. 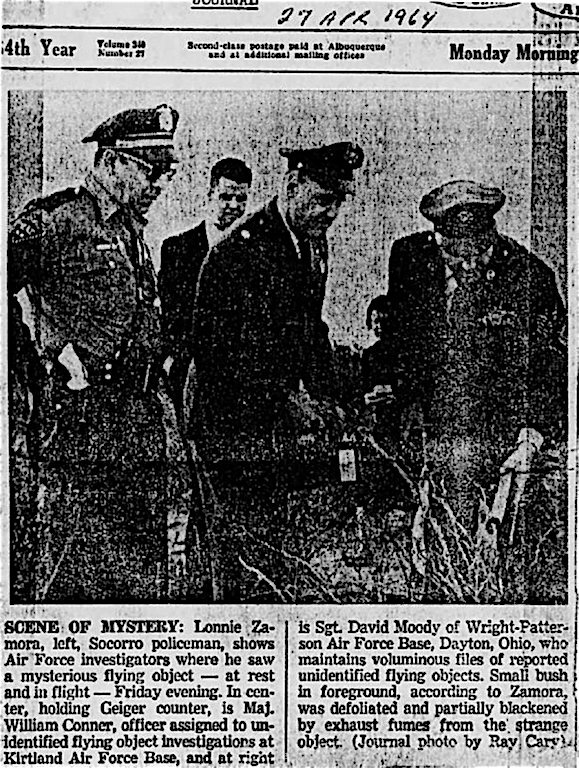 IN the area where Walker AIR FORCE BASE was located. Previous to this Phoenix sighting there had been a thunderstorm in the area, did this storm effect the Phoenix craft's handling? 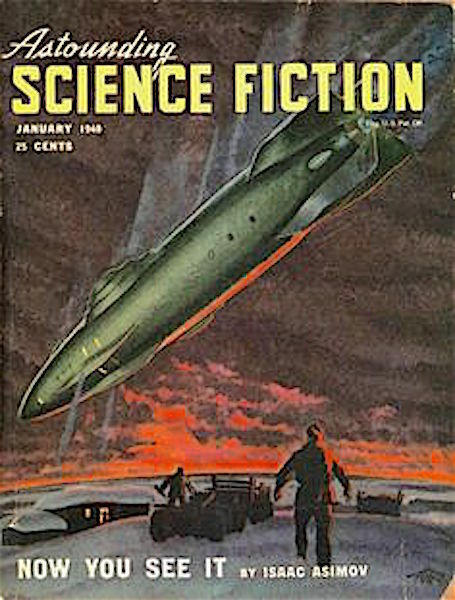 As Rhodes watched the alien craft, he noted that the UFO spiraled from 5,000 feet to 2,000 feet before it flew off. After the local paper printed Rhodes pictures and story, government men visited Rhodes and wanted the photo negatives. The negatives were to be study at a military or government facility. Were these men who asked for the negatives, MIBS, MEN IN BLACK? These agent promised Rhodes that they would return the negatives, sadly Rhodes negatives were never given back. All my research concerning who these men were who took the negatives has resulted in "0". 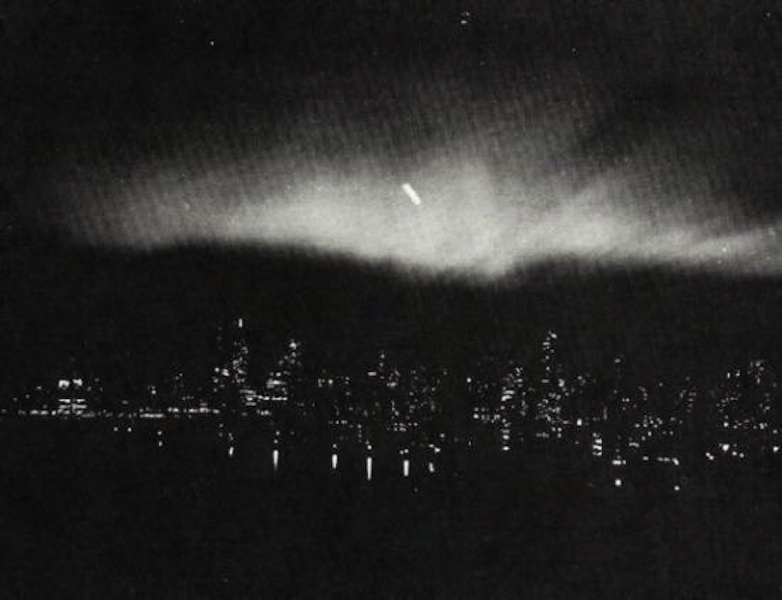 Below: These 2 photos were taken on March 20, 1950 over New York city, it was said the craft was motionless as it hovered over the "BIG APPLE". This info was released by way of Operation Grudge which later became Operation Blue Book. Grudge and Blue Book were the Air Forces unit that studied UFO activity & photos. The photographer who took these photo is unknown. His or her name was omitted by the sheriffs of this Fed study. I wonder why? Did he or she have more info that was as precise as these photos? 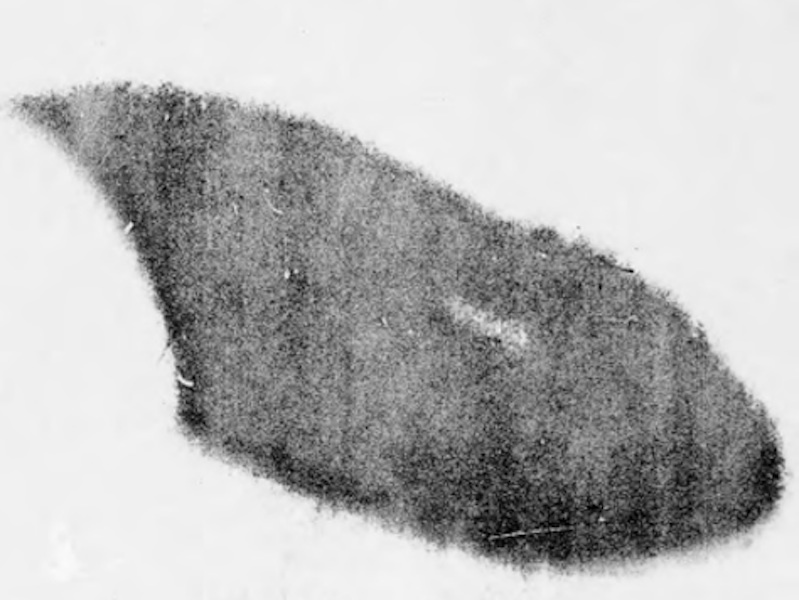 The Grudge and Blue Book people came to the conclusion that what was in the photo was not an alien craft but the moon. That is not the moon! It seems Operation Grudge and Operation Blue Book were designed to misdirect people by claiming they saw something else. Below actor KURT RUSSEL flew by the (UFO) PHOENIX LIGHTS 1997 in his Cessna, here is the interview. BELOW: ANOTHER ENCOUNTER AND THIS TIME THE WITNESS WILL NOT GO ALONG WITH THE COVER UP! "IT WAS NOT --SWAMP GAS--!" 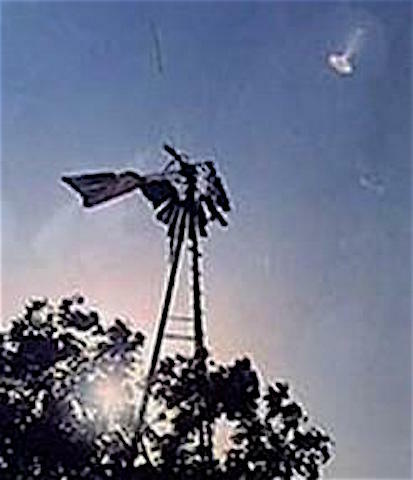 BELOW: Hillsdale, Michigan daylight photo 1966 of UFO upper righthand corner. 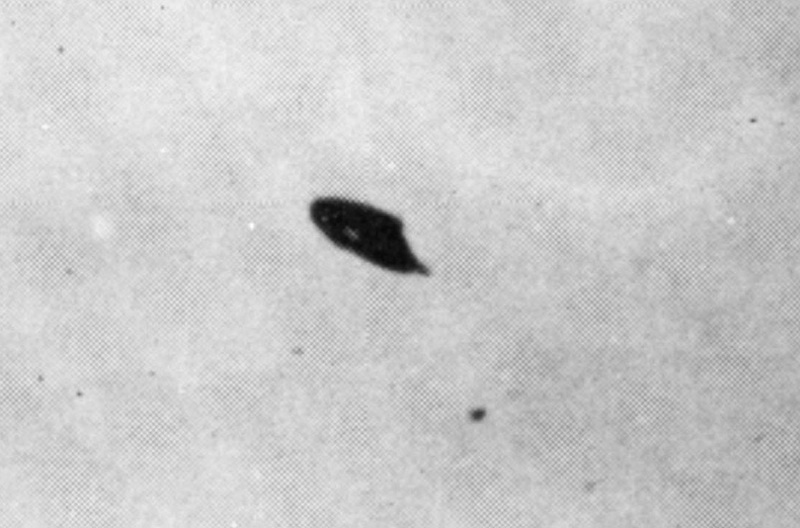 There is another photo of this UFO on this website, but it is in black and white, this color photo is of much better quality. 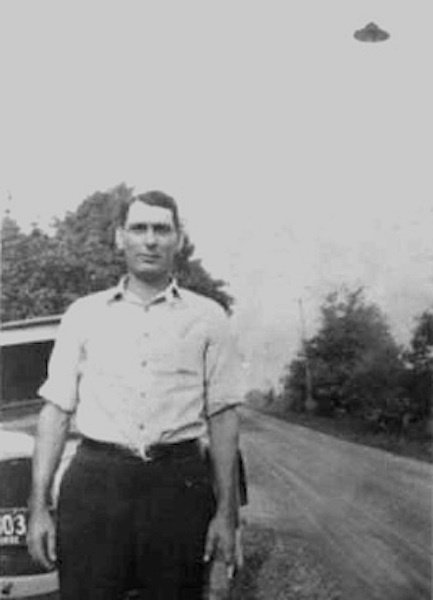 RIGHT: This photo is from 1932, it is of George Sutton, on his right is a UFO. The location is St. Paris, Ohio. Is it legit, it is a fake? Not much info here, the snapshot was found in a family album. Is the photo cropped or tampered with? It does not look right to me? 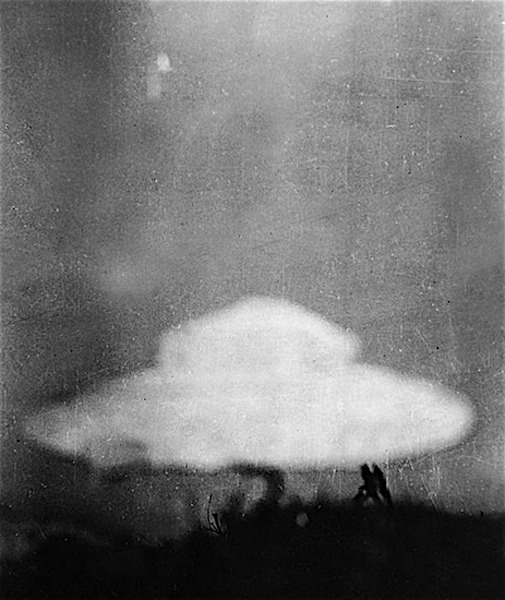 Below is another photo with little info, all that is known; it was shot March 11, 1961 in Japan. 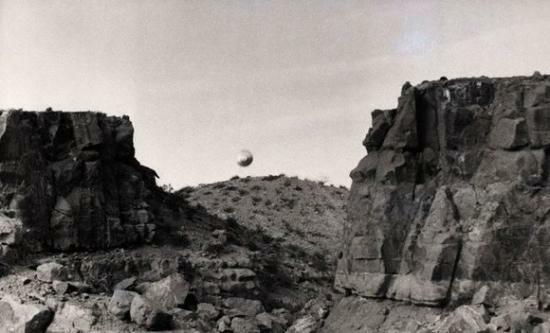 RIGHT: This photo ws taken outside of LAS CRUCES, NEW MEXICO by a college student on March 12, 1967, near Picacho Peak, at about 2PM. 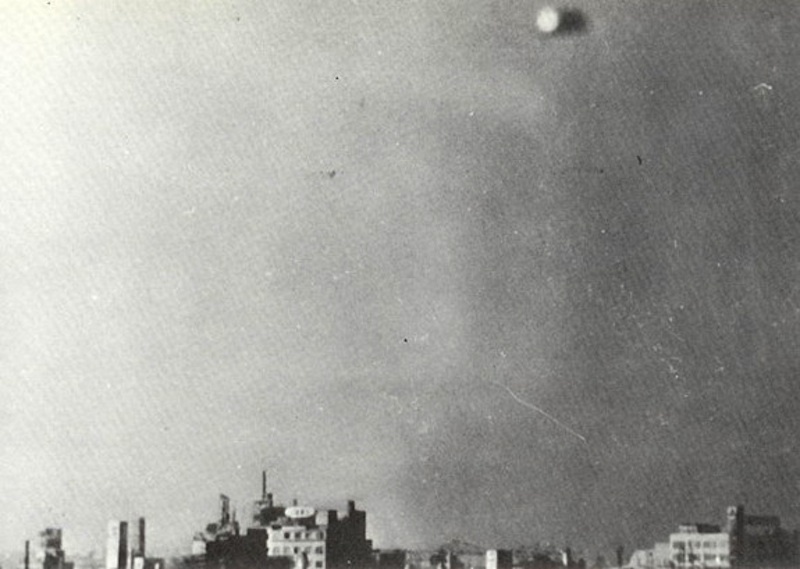 The student, name unknown, photographed the UFO at a 500 yard distance. As the NMSU student reloaded his camera the craft flew off. The student looked up and the UFO was gone! I lived in New Mexico in 1967 and in my journal for Sunday March 12, 1967, was this info. On a independent channel, this was before PBS, that Sunday night there was going to be a world premier television special on the BARNEY & BETTY HILL alien abduction case of 1961. This alien abduction happened on tree lined U.S ROUTE 3, near Lanaster, New Hamshire at around 10:30PM. BELOW: Interesting compilation of UFO sighting featured on national news programs. BELOW: Bulawayo, Southern Rhodesia; December 29, 1953. 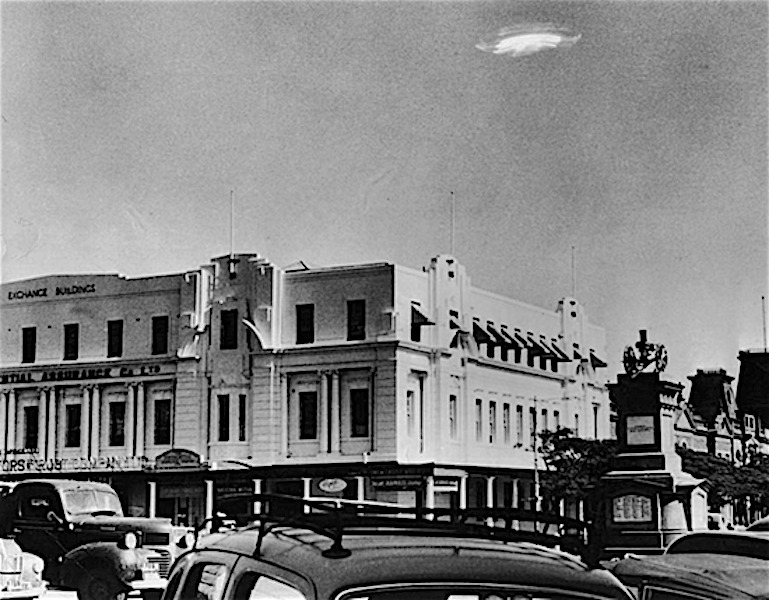 BELOW" Melbourne Australia UFO, April 2, 1966. 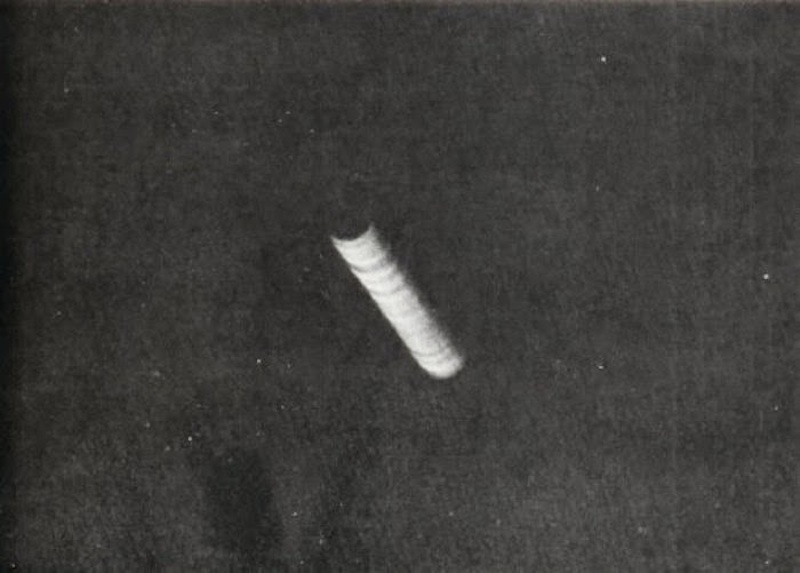 ABOVE: CONNISTON, ENGLAND; FEBRUARY 15, 1954 UFO -- Photo taken by (young boy-STEPHAN DERBISHIRE) with Kodak box camera a present from his Father. 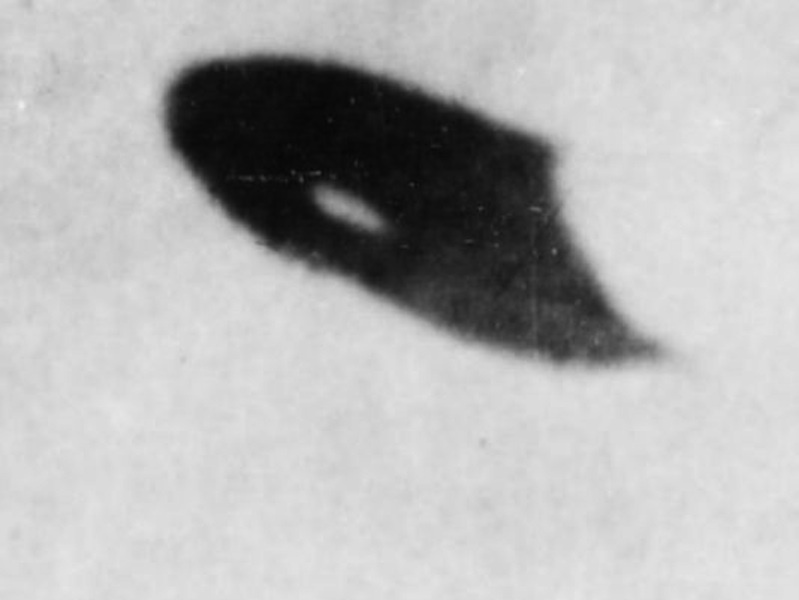 On the bottom is that the top of a scalp, as in the camera looking over the head and also some shrubs below the saucer?